Supervalu is exiting the food retail business via a deal to sell itself to United Natural Foods Inc. for $2.9 billion. The news comes on the same day that Supervalu announced its Q1 2019 earnings. Shop ’n Save was founded in 1979 as a grocery store in Belleville, Illinois, near St. Louis, Missouri. The chain now includes 33 stores in the St. Louis metropolitan area, and 3 additional stores in Springfield, Illinois. As a result of the consolidation in both the wholesale & retail grocery markets, Shop ‘n Save locations here and elsewhere will be sold or closed. Unless some other grocery chain enters the St. Louis market, others will pick up market share lost when Shop ‘n Save closes. The biggest gain will be St. Louis-based Schnucks Markets — they’re buying 19 suburban Shop ‘n Save locations. This Summer Schnucks bought the Maplewood Shop ‘n Save on Manchester, quickly reopening it as a Schnucks. This Sho ‘n Save at 4660 Chippewa is not among the locations bought by Schnucks, it’ll close by the end of 2018 if a buyer doesn’t come forward soon. Save-A-Lot, once also owned by Wetterau/Supervalu is now owned by Toronto-based Onex Corporation — a private equity firm. Lucky’s Markets, still pretty new to the St. Louis market, is based in Boulder Colorado. A large investor is Cincinnati-based Kroeger. Our old Food 4 Less locations became Ruler Foods locations a few years ago, Ruler is owned by Kroeger. ALDI is a German company. The business was split into two separate groups in 1960, that later became Aldi Nord, headquartered in Essen, and Aldi Süd, headquartered in Mülheim. The latter is the group that operates ALDI stores in the U.S. Trader Joe’s is owned by a private family trust associated with Aldi Nord (not the Aldi that operates ALDI in the U.S.). Fields Foods has one location right now, but will soon open others in Dogtown and Downtown West. 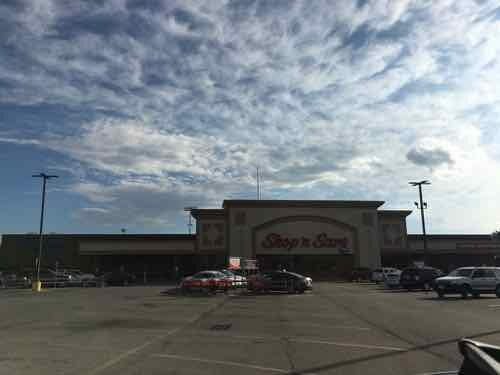 Privately-owned local grocer Straub’s Markets has 4 locations. Straub’s had a short-lived 5th location in suburban Ellisville, but in closed in October 2009. Dierbergs Markets, also locally/privately owned, has 25 stores in Missouri & Illinois. Q: Agree or disagree: Adding 19 Shop ‘n Save locations will make Schnucks too dominant in the St. Louis regional grocery market. The agree votes total 41.18% with the disagree side totaling 47.06%. I voted for “slightly disagree” because while I’m not big fan of Schnucks (their development arm, DESCO, is awful about ADA accessibility) but I know that being the biggest grocery store in the region will keep outside chains in a subordinate role. My hometown of Oklahoma City is now dominated by Walmart’s Neighborhood Market chain of stand-alone grocery stores. Local chains have been reduced to rubble. Having strong locally-owned grocery store chains, even flawed ones, is better than being at the mercy of non-local corporate interests. Just hoping the Schnucks family doesn’t decide to cash out at some point.